Fired FBI Director James Comey attacked President Donald Trump over the Quebec G7 summit, posting to Twitter a typical Comey-style passive/aggressive statement that did not mention Trump by name. James Comey spoke at a progressive Canadian conference last week. Trump posted a statement about his issues with Canadian Prime Minister Justin Trudeau at the G7 summit to Twitter on Saturday after he had left Quebec for Singapore. 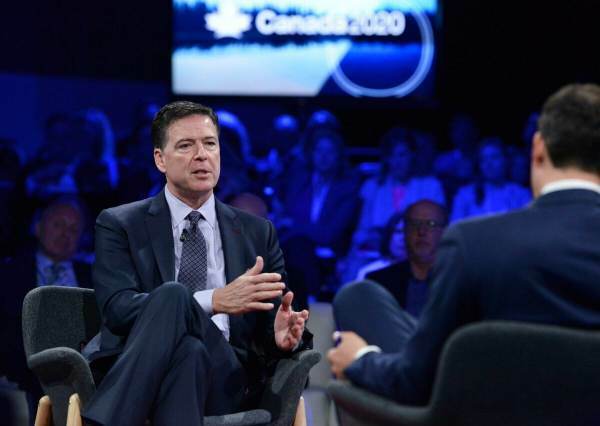 Earlier in the week, Comey made an appearance at progressive Canadian group conference in which he trashed Trump ahead of the summit. Trump left the G7 summit early Saturday and is on his way to Singapore for a historic meeting with North Korea over nuclear weapons.